In case you missed it, I’m now a ‘Creative Blogger’ for Sizzix! Each month I’m creating tutorials showing you how to make pretty pieces in fabric and felt using the Sizzix Big Shot Plus cutting machine and the Sizzix templates. 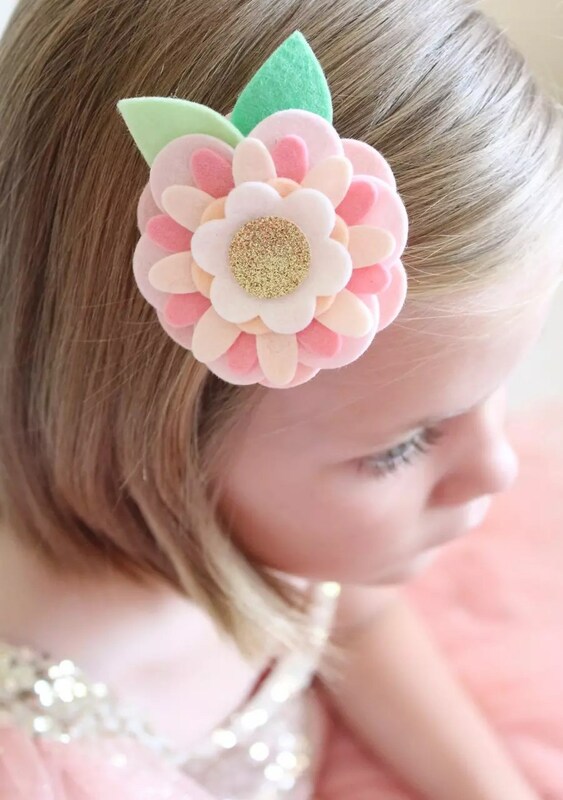 This month I’m creating beautiful (but also quick and easy) felt flower hair clips! If you’d like to find out more head over to my post on the Sizzix Blog. 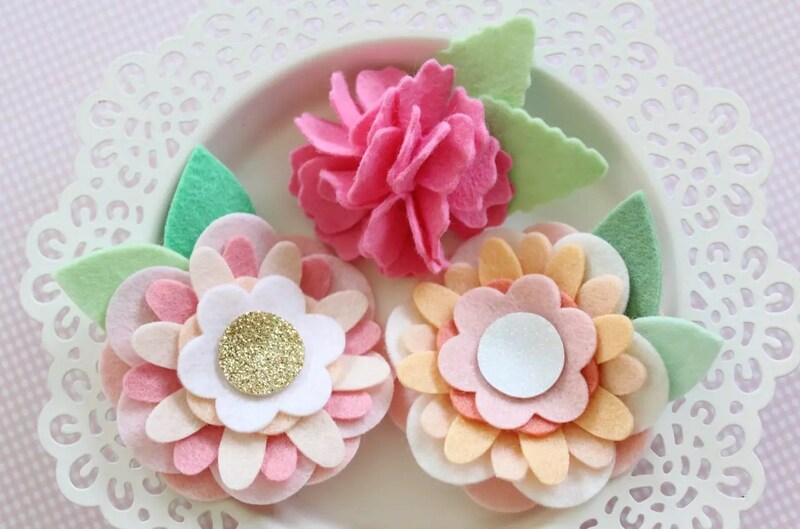 To make these lovely felt flower clips, all I’ve used is a range of different delicately coloured scraps of 100% merino wool felt and some glitter felt too (all of my felt comes from Rose Petal Collections). 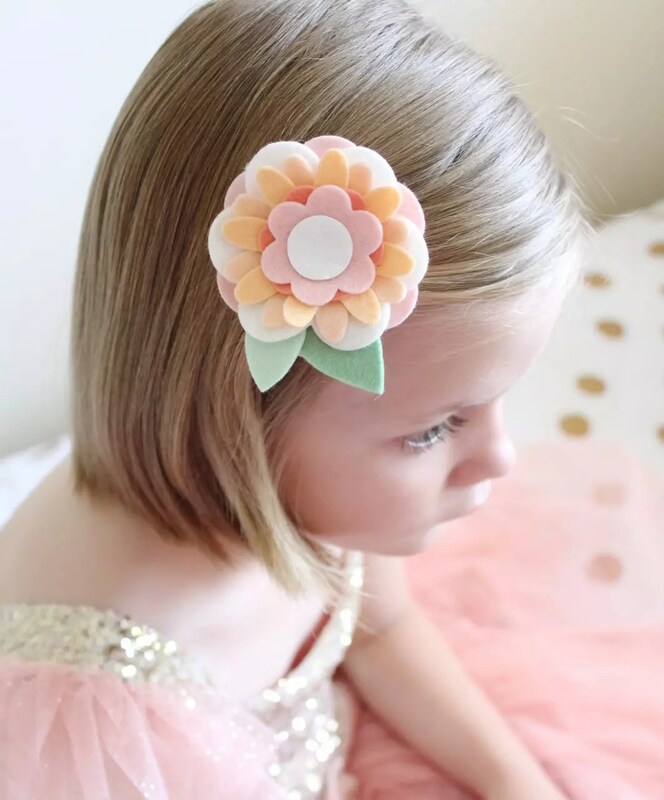 Using the Sizzix cutting machine, and their templates, I cut out a range of flower shapes and layered them together to make these sweet little flower designs. The last step was to attach a ribbon-covered alligator clip to the back of the felt flowers. 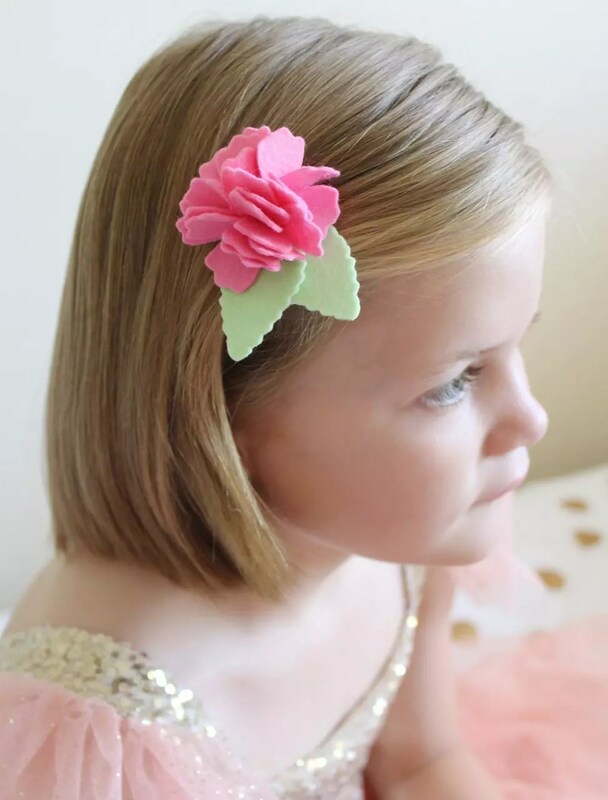 You can read all about making simple covered hair clips in my easy to follow tutorial. This last clip was slightly more involved, but still ridiculously easy to make! Head over to Sizzix to find out more about putting them together! I can see a lot of these felt flowers being made for Christmas gifts and stocking stuffers! 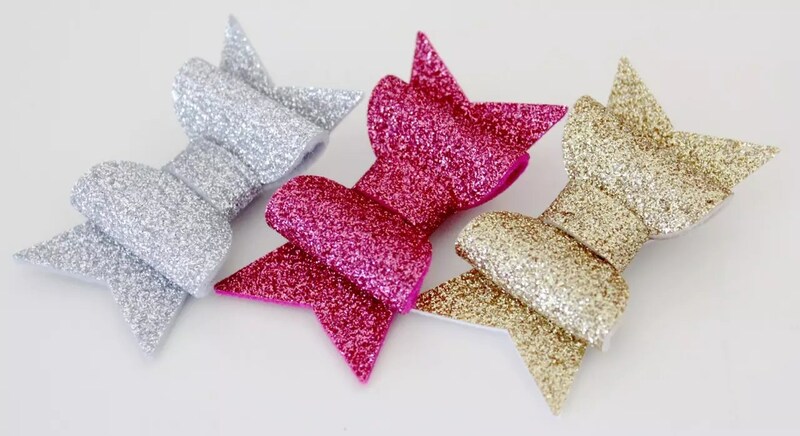 Sizzix even have an easy cut template for making these bows. Aren’t they striking in glitter felt? I can’t wait to show you what else I have in mind for Christmas gifts!